The 1,625-acre park is a scenic lakeside retreat set on the banks of a 250-acre lake. Facilities include a modern campground, activity building, picnic area, play area, pavilions, beach with bathhouse, fishing piers, boat rentals and boat-launch areas, and 19.5 miles of hiking and mountain biking trails. 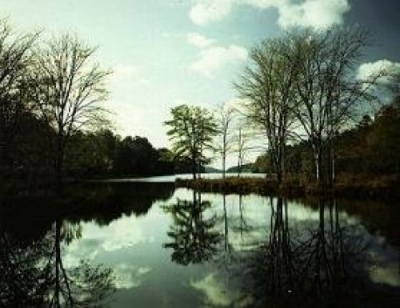 Location: Within Lake Lurleen State Park near Coker, in west-central Alabama. From Tuscaloosa, AL, travel west on University Boulevard toward Lurleen B. Wallace Boulevard N. Turn right at Lurleen B. Wallace Boulevard. Turn left at McFarland Boulevard NE. Turn right at County Road 21/Upper Columbus Road. Turn right at County Road 49/Lake Lurleen Road. Turn right to stay on County Road 49/Lake Lurleen Road. Park entrance will be on the left. The 1,625-acre park is a scenic lakeside retreat set on the banks of a 250-acre lake. Facilities include a modern campground, activity building, picnic area, play area, pavilions, beach with bathhouse, fishing piers, boat rentals and boat-launch areas. 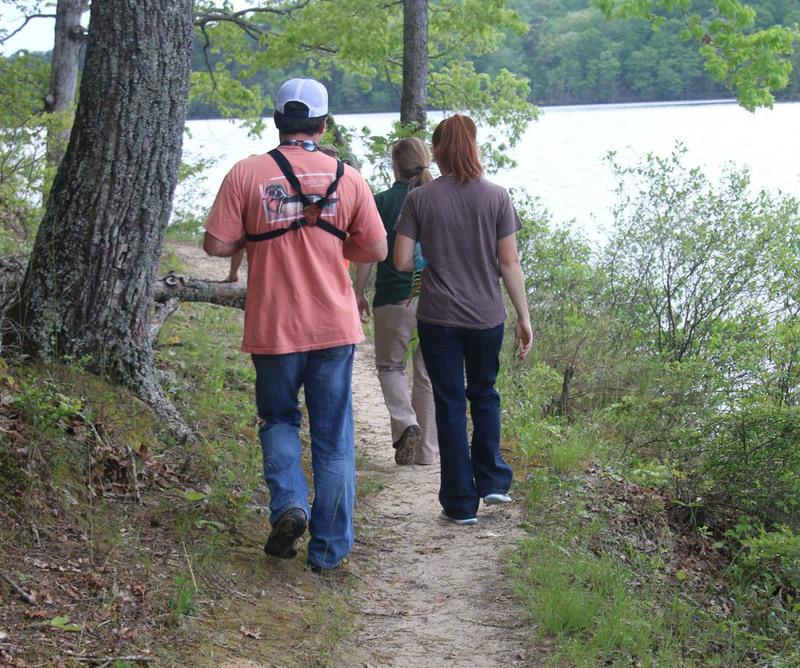 Lake Lurleen State Park now has approximately 19.5 miles of trails. 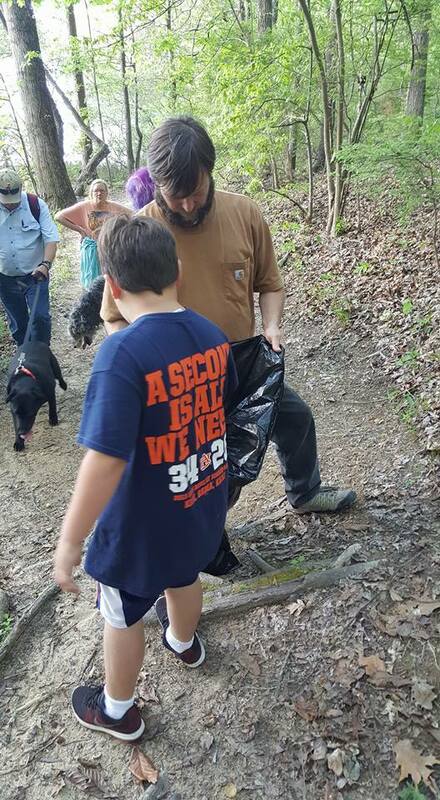 Three new trail loops have been added to the Multi-Use Trail. Motorized vehicles and horses are prohibited on Lake Lurleen's trails. Ridge Trail: A short walking path on the ridge east of the campground and day-use area. This trail is restricted to foot traffic only. It can be accessed from 3 different points: (1) Across from the beach playground, (2) At the # 4 Picnic Pavilion, (3) and at the North Trailhead. This trail system is comprised of six connecting segments: Lakeside Trail, Tashka Trail, Five Oaks Loop, Tornado Loop, Storm Loop, and Lightning Loop. The connected trails loop around Lake Lurleen into the undeveloped west side of the park. Trail users must take into account the minimum length of the entire loop is 11 miles plus 1.3 miles of roadway connecting the trailheads (this mileage does not include any of the loops that split off of the main Tashka Trail). Shortcuts to trailheads or paved roads do not exist. Once on Tashka Trail, you are in a wilderness environment. 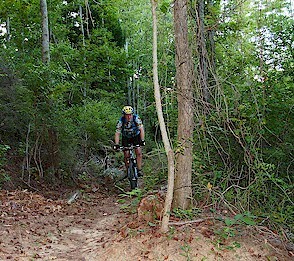 The entire trail is rated “intermediate”, in accordance with International Mountain Biking Association (IMBA) guidelines. Access to the trail system is limited to the North or South Trailheads. Lakeside Trail: This 2-mile trail (one-way) begins at the South Trailhead and ends at the Lake Lurleen Dam. There, it connects to the much longer Tashka Trail. Lakeside Trail is an excellent option for short hikes and as an introductory ride to novice mountain bikers. It follows the lake shoreline, providing continuous, beautiful scenery. Use caution. 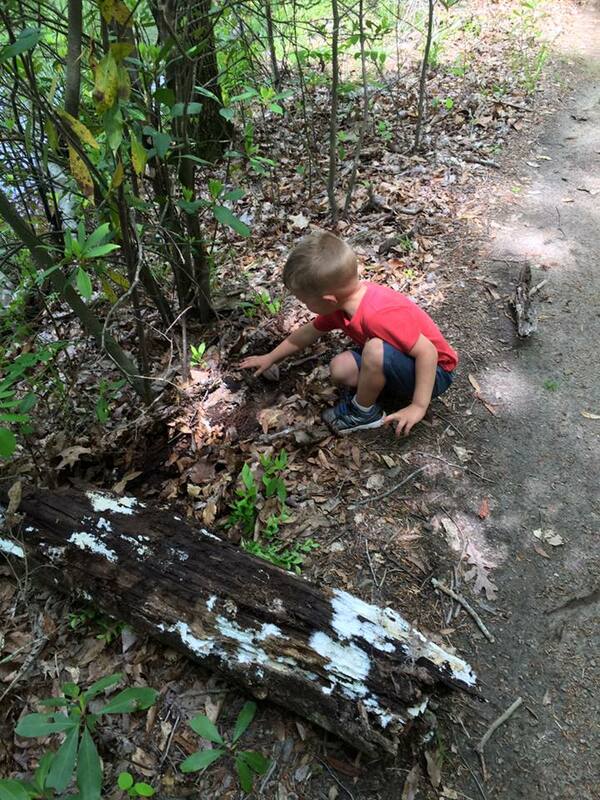 The trail is shared by hikers, bikers and bank fishermen. Tashka Trail: This 9-mile segment begins where Lakeside Trail concludes, at the west end of Lake Lurleen Dam, next to the dam spillway. Use caution. Some sections are steeply graded, sandy, or covered with loose gravel. In addition, the 9 miles contain no shortcuts to either trailhead. Plan accordingly, as you will be in a wilderness environment. Due to the prevalence of tight turns, long climbs and descents, beginning mountain bikers will find sections of Tashka very challenging. Five Oaks Loop Trail: This optional 3-mile loop splits off from Tashka Trail approximately 5.8 miles from the South Trailhead (calculated by a clockwise route). For ambitious users, Five Oaks extends the total distance of the connected trails to 15.3 miles. If approached from the North Trailhead (traveling counterclockwise), Five Oaks Loop splits off from Tashka 4.8 miles from the trail's start. Storm Loop Trail: This optional 1.44 mile loop splits off from Tashka Trail approximately 8.8 miles from the South Trailhead (traveling clockwise), and approximately 2.2 miles from the North Trailhead (traveling counterclockwise). This loop's name was chosen for two reasons, one in honor of Mike Storm, the park manager who shared the vision of volunteer leader Michael Smith, and supported the efforts of all involved to bring reality to the vision; and the second reason matches the “weather theme” of the other loops. Lightning Loop Trail: This optional .43 mile loop splits off from Tashka Trail approximately 9.2 miles from the South Trailhead (traveling clockwise), and approximately 1.8 miles from the North Trailhead (traveling counterclockwise). This is a fast and dazzling little loop to either pump you up for the long ride on the Tashka Trail, or give you a last hurrah before heading to the North Trailhead to end your ride. Tornado Loop Trail: This optional 2.3-mile loop splits off from Tashka Trail approximately 8.7 miles from the South Trailhead (traveling in a clockwise direction), and approximately 2.4 miles from the North Trailhead (traveling counterclockwise). This loop takes you through the path of destruction left by tornados spawned by Hurricane Rita in 2005. 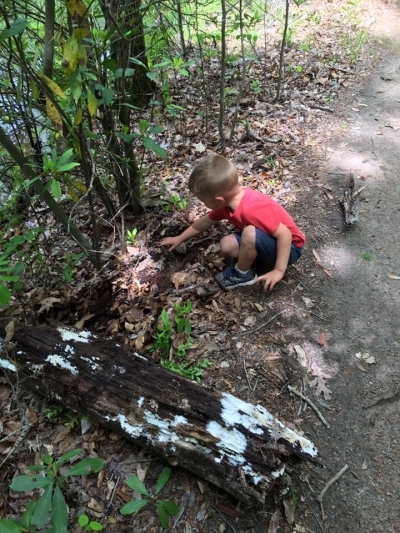 Lake Lurleen State Park’s Azalea Ridge Trail – Earth Day Activities. Photo by Tasha Simon.